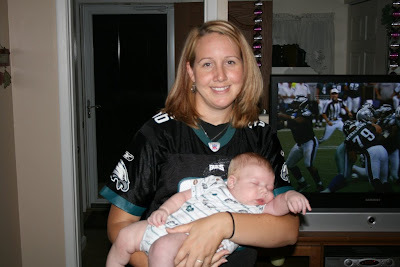 Carter experienced his very first Monday Night Football game. He had his little EAGLES onesie on and was all ready for it. Unfortunately, he didn't anticipate the game running so late. Sunday afternoon games are much more convenient for him. Thanks. Haha! That is toooo cute! !